WhatsApp seems a very small app but it processes big data every day. By Big Data we mean, the voluminous data generated by social networking sites like Facebook, Twitter, YouTube etc. This data may have a size of Petabytes. WhatsApp alone processes 20 Petabytes of data in form of photos and videos. WhatsApp has set data limits for photos, videos, and audio files. This limit is 16 MB, and any media file greater than this limit will be trimmed to fit in this limit automatically. This keeps the app in a 100% running state and prevents it from crashing. WhatsApp also has limited the documents (pdf, docx, txt, xls, ppt) sharing up to 100 MB. Any document file greater than 100 MB will be rejected. So it is easy to understand that WhatsApp's maximum file sharing size limit is 100MB. Here forget the 16MB limitation for photos, videos, and audio files. As these media files can be sent as documents thereby breaking their 16MB limit. You might be aware of this that when you send an image or a photo on WhatsApp then it gets highly compressed. Its original quality is reduced and the image looks blurry when opened. Same goes for videos as they are cut short to a maximum size of 16MB. But if we send images, videos, and audio files as documents then we can send them in their original resolution and quality. Please read this following suggested post to know more. One more thing to note is that file sharing has become a necessity. It is time-consuming to share files via email today. A few years ago WhatsApp relied on a third-party app named 'SendAnyFile' to send any file type in chats. 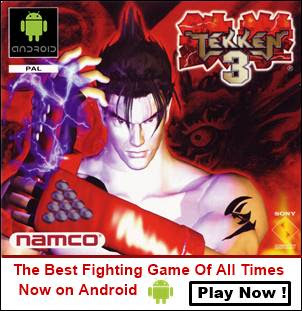 But today there is no need to use this third-party app. 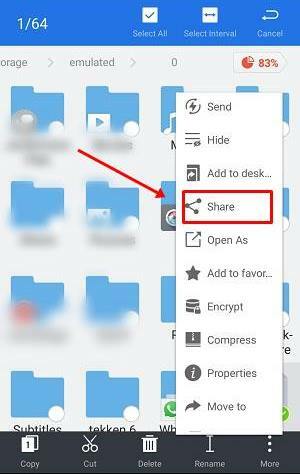 WhatsApp now officially supports sharing almost every file type that exists in the IT (information technology) field. 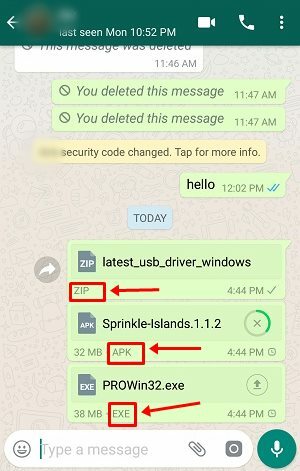 The popular file types that you can share as documents in WhatsApp are EXE (.exe), APK (.apk), ISO (.iso), ZIP (.zip), Photoshop (.psd), AutoCAD (.dwg), and Binary (.bin). You can also share custom file types that don't even exist. The only condition you have to meet is that the file type you are sharing should be up to/under 100 MB. Download and install ES File Explorer from Google play store. 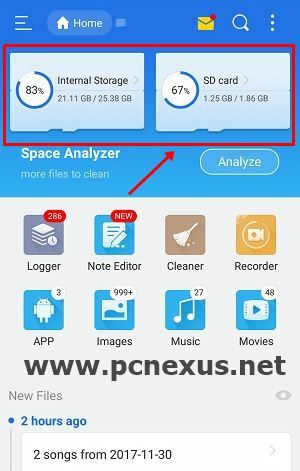 ES File Explorer will let you explore files on your phone's internal storage, sdcard, and USB OTG drive. 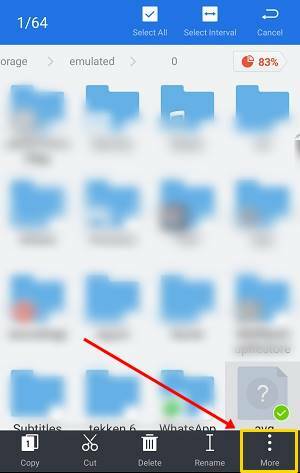 Navigate to the file that you want to share on WhatsApp. Here I am sharing an APK file which is stored in my phone's internal storage. So first I will locate that apk file. Then long tap that file. Then tap 'More' and finally tap 'Share'. From the sharing list select WhatsApp. Then tap the contact name with which you want to share the file. Finally tap the green button to send the file. Have you shared any file? Let us know via comments. And if you liked the article then please share it.